Hold On! 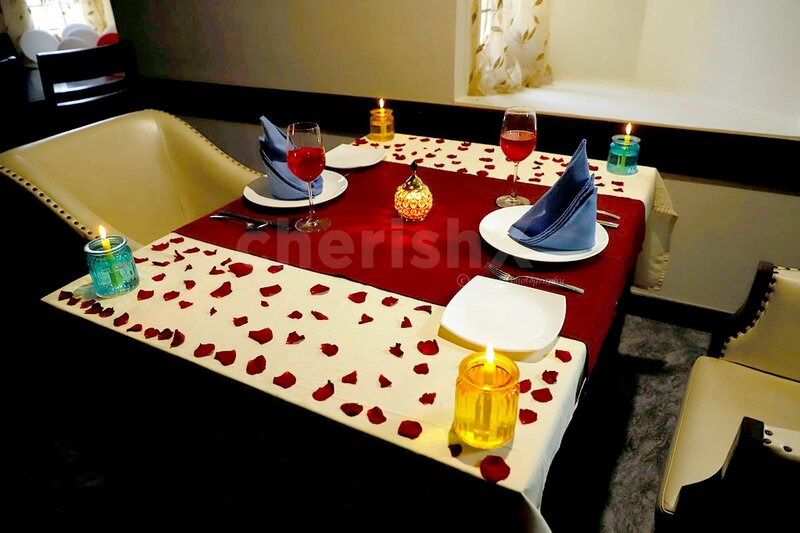 Take a break and cherish your relationship with your partner as you take him/her for an astounding CandleLight dinner date. 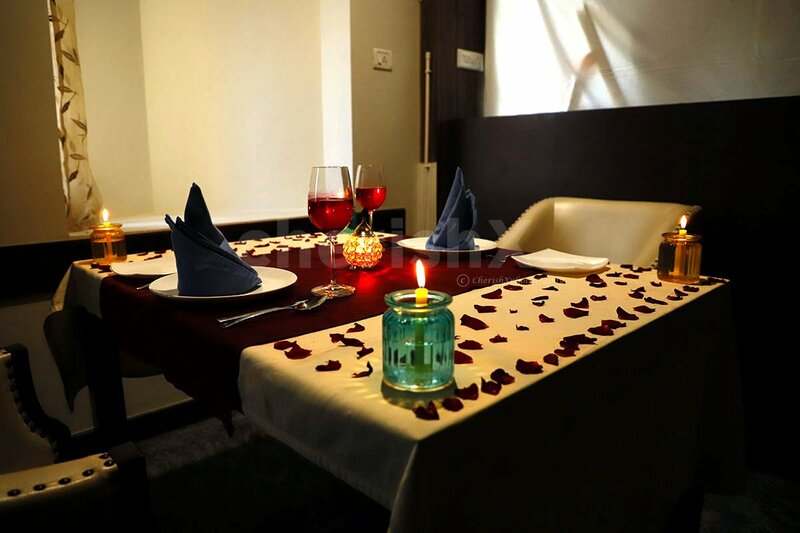 Enjoy the 3 course veg/non-veg meal including 2 starters, 2 mains and 2 desserts with some music in the background in a beautifully decorated setup of candles and rose petals in Hotel Raj Vista. You will be greeted with complimentary mocktails upon your arrival and will guided to the pre-decorated table. 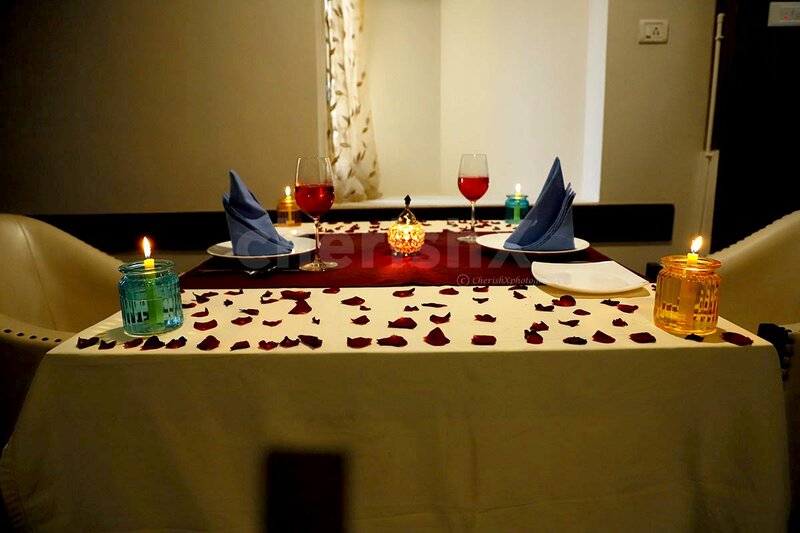 The table is aesthetically decorated with tapers and oil-lamps with rose petals spread making it even more majestic. Binge on a 3 course meal with 2 starters, 2 mains and 2 desserts with unlimited breads. A private butler will be present for your assistance. To spark your whole experience, play some jazz or flamenco and dance with your partner and make this a memorable date. We provide a wide range of customisations for the particular experience. Don't forget to check them out.